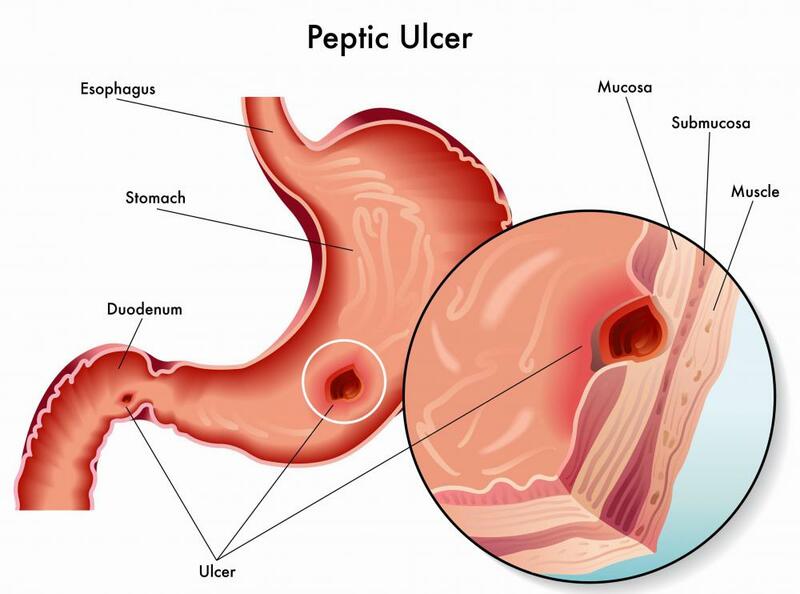 A folate deficiency can cause peptic ulcers. The recommended daily intake of folate is 400 mgs for men and for women who are not pregnant or nursing. Pregnant women are usually advised to take 600 micrograms of folate acid per day. 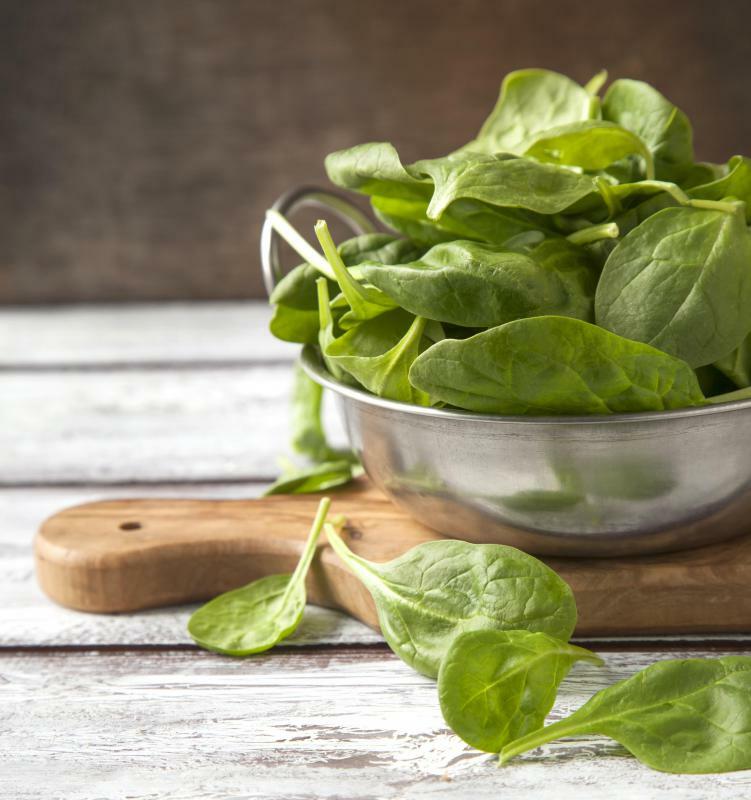 Folate is naturally present in spinach. Pregnant women are advised to take folic acid supplements to reduce the risk of birth defects. Folate is the naturally occurring form of vitamin B9, or folic acid. This vitamin is essential in many of the body’s processes and is essential during fetal development. Folate deficiency can cause a wide range of symptoms, including forgetfulness, irritability, appetite loss, diarrhea, mouth ulcers, peptic ulcers, anemia and heart palpitations. In infants, the most common consequence of folate deficiency is a neural tube defect. Folate has several extremely important biological roles. One of these is the synthesis of the nucleic acids DNA and RNA. Folate is also involved in DNA repair, an important mechanism that helps prevent cancer. Another important role for folate is in the production of red blood cells. In addition, folate is important for cardiovascular health, kidney function, eye health, bone density and immune system function. The many important biological roles of folate mean that both short-term and chronic folate deficiency can have serious health consequences. Folate is essential for the production of white blood cells as well as red blood cells. Folate deficiency, therefore, can result in anemia and suppressed immune function. Folate deficiency has been linked to an increased risk of heart disease, stroke, cancer, depression, rheumatoid arthritis and kidney disease. There also is evidence to suggest that deficiency can worsen the symptoms of menopause and increase the risk of osteoporosis. In people with Parkinson’s disease who take levodopa, folate can help prevent bone density loss caused by this medication. In a developing fetus, folate deficiency can increase the risk of a congenital defect called a neural tube defect. These defects develop in the brain or spinal cord. One of the most well-known neural tube defects is spina bifida, in which part of the spinal cord protrudes through an opening in the spine. Some types of neural tube defect cause abnormal development of the brain. One example is anencephaly, in which a child is born blind, deaf and unconscious because of the absence of a functioning cerebrum. The recommended daily intake of folate is 400 micrograms for men and women. For pregnant women, the recommended daily intake is 600 micrograms. This increase is because of the importance of folate in fetal development. Women who are planning to become pregnant should ensure that they increase their intake of folate before pregnancy occurs, because the importance of this nutrient is highest during the first month of fetal development. Folate requirements are often higher in people who abuse alcohol or who have liver or kidney disease or digestive disorders. Folate is naturally present in many foods, including green leafy vegetables such as spinach; cereals; fruits; legumes; and organ meats. In some countries, including the United States, Canada, Australia, Indonesia and Mongolia, folic acid is added as a supplement to flour, as well as to breads and other baked goods. Other countries, such as New Zealand, opted to wait for the results of further research on the effects of dietary folate supplements. What Is the Connection between Folic Acid and Alcohol? 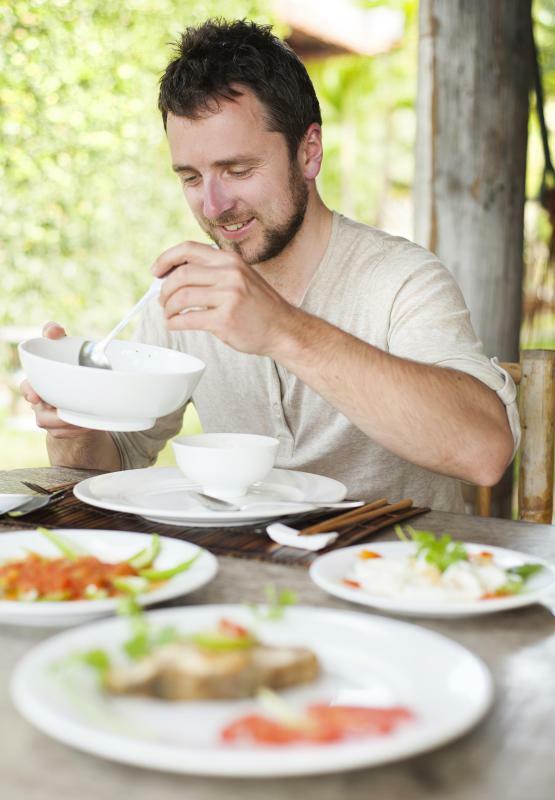 What are the Different Foods High in Folate? What are the Pros and Cons of Taking Folate During Pregnancy? What are the Best Sources of Folate? What is the Connection Between Cobalamin and Folate?